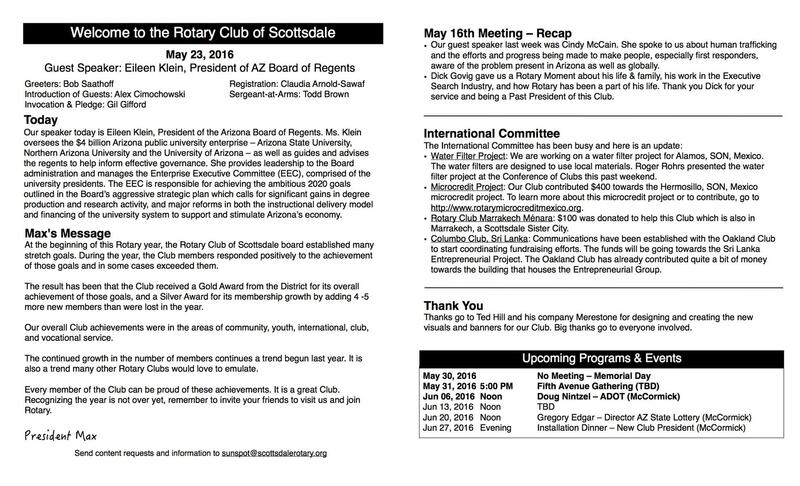 The Sunspot is the Rotary Club of Scottsdale's weekly newsletter/program. The current one is listed below. Archived editions are available on the left.